Andrzej Marczewski writes an active blog about gamification, that I would highly recommend subscribing to; he provides a lot of useful information and posts every week. This discussion touched on topics Andrzej had included on his blog but, for me, it was one of the best of the conference! 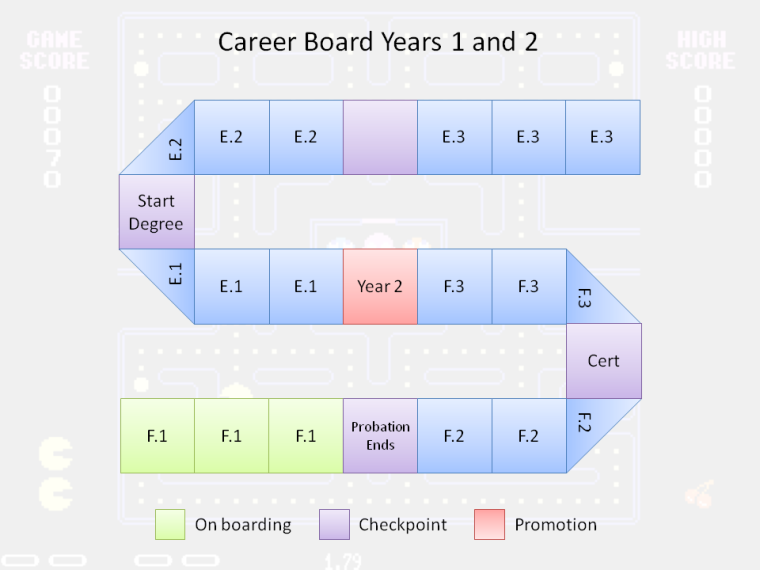 The presentation focused on enterprise gamification – how we can improve the process of introducing new employees to the company and how to make their career more like a journey. First, he discussed how current hiring and on-boarding new employees works in most companies. When a new employee starts, he or she has to sit through a series of PowerPoint presentation that can take several days and is oftentimes boring. Many companies also rely on internal training systems, which can be complicated, and lack engaging aspects. He then addressed how a standard career can be represented by a loop: Work hard, receive little feedback during the year and at the end of the year you have a performance review. In the annual performance review you will get a chance to be promoted or get a pay rise and then the cycle starts again. This cycle is slow and goals are yearly, so it’s very difficult to track progress and see how well you are performing. Only at the end of this cycle will you get proper feedback. This can be distressing to many employees and can kill their motivation. The solution, in Marczewski opinion, is to learn from games and use game thinking to solve these problems. He suggests when an employee joins the company, present only the critical information and have him or her meet the people he will be working with. All other information should be available to them in a Khan Academy style learning system. A system could be set up so that users can start using email only when he passes the email tutorial. Dividing training into small chunks and providing instant feedback will help employees to on-board faster, increasing employee engagement and motivation. The most interesting idea in the presentation that was proposed is the “Career Game”. All of the employee’s goals should be mapped on this board. Additionally, people are much better managing short-run goals than long-run goals so dividing them into smaller chunks and mapping them in a timeline will help employee and manager to see the progression and what to expect in the future. These game boards should cover no more than a year or two, because goals may shift. Thus, the board shouldn’t be static; it should be editable and adjustable. We also should not forget about the importance of ‘flow’. Flow is a balance between boredom and frustration. If it’s too easy it’s boring, if it’s too difficult we got anxious and quit. Finding a perfect balance is difficult and will differ for everyone but keeping employees in this flow state will ensure that they will stay at the company and will not look for challenges at other ventures. Provide an environment that builds a sense of community, support and value in which employees can thrive. Trust employees and provide the tools they need to do their job in the best way possible. Provide the means to expand employees’ skills and increase the challenge of the role whilst not being afraid to let employees evolve beyond it. Provide fair pay and attempt to provide reasons to work at the company beyond financial reward. These points are related to his RAMP framework (Relatedness, Autonomy, Mastery, Purpose) where he argues that although the companies mostly use extrinsic rewards, intrinsic motivators are what keep employees with their employer. He agrees that it’s quite hard to keep these four promises but if an employer tries hard the reward will be employee loyalty. Many companies fight for the best talent by offering extrinsic motivators such as free food, gym memberships, etc., but these motivators lose their power very fast. People get used to great things and then lose interest in a few months. The only way to truly motivate and engage with employees is by helping them develop as professionals and make this process as fluent as possible. Set clear goals for employees and provide feedback as often as possible. During the Gamification World Congress, all of the talks were, in one way or another, related to business but Power of Games was different. It touched on the emotional element of games. The idea is to provide game consoles to children who have cancer. 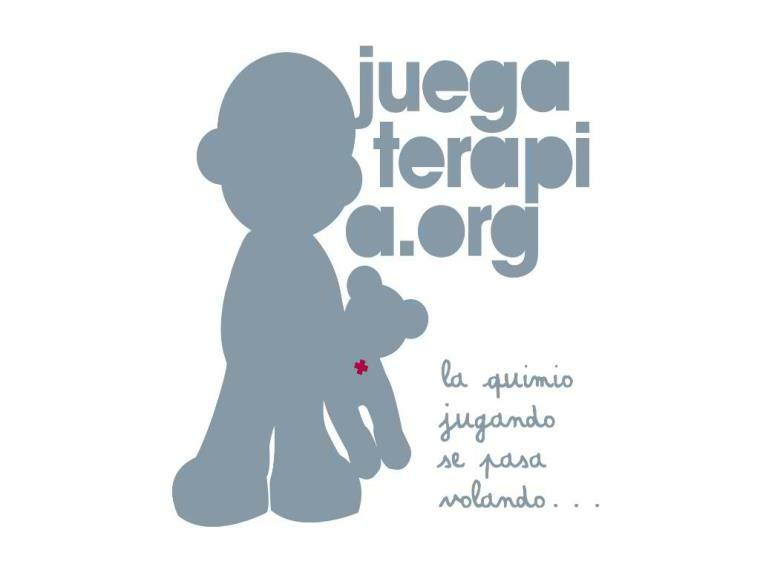 Games help them fight the pain during the procedures, recover after the chemotherapy and bonds them with their friend and family. The concept was born when Mónica Esteban was visiting a hospital and saw an ill, unhappy boy. She decided to give him one of her game consoles that she was not using in an effort to cheer him up. After he got the console his mood did become brighter, he started to smile more and even his health recovered faster. Doctors and nurses noticed upon receipt of the console the boy’s mood and recovery time improved. There are many studies done on how a positive mood has a beneficial influence on recovery. However, with any type of painful procedures, maintaining a positive mood is very difficult. Mónica began to search for additional unused consoles, offering donuts and coffee to people who agreed to donate their consoles to the hospital. One friend recorded the moment the console was delivered to a child, which was then shown on a news channel and subsequently, went viral. The community took note and people from all over the country joined the movement. To this day, over 1,000 consoles have been donated to 50 hospitals. This was an incredibly inspiring talk and expressed how games can be used in a variety of situations, even seemingly hopeless ones. Games motivate and teach people that they can tackle difficult problems if they put their minds to it and persevere. The Gamification World Congress was a noteworthy event bringing together people from a variety of industries and with a variety of experiences. While I only reviewed a few talks here, there were so many more I didn’t have an opportunity to discuss. If you have an opportunity to attend in the future, I highly recommend doing so. Many thanks to Sergio Jiménez and his team for organizing the event! Finally, if you are interested in implementing gamification elements, contact us and we can work together on your specific needs. *If you missed Part 1 of this blog series, click here to catch up!